It's been a volatile week in crypto trading land, but we deliberately don't want to put too much focus on prices here as we are long term focused. And we had another record-breaking ICO, obviously. Ethereum scalability has been a hotly debated topic this week (it is every week really!). On the back of a flurry of large high profile ICOs, and the prolonged network congestion that ensued, a few people weighted in. Fred Ehrsam, who co-founded Coinbase, thinks we are 250x off being able to run a 10m user app and 25,000x off being able to run Facebook on chain. Interestingly the first step in Fred's schedule to scalability was increasing gas limit, which punctually happened two days later (by the way this is a great primer on the gas model by Hudson Jameson). The Ethereum community showed some real strenght and pragmatism in this circumstance, and perhaps as a coincidence its Stack Exchange graduated this week as one of the top-35 technology sites (in only 500 days, a record!). Moving to Proof of Stake consensus will be another step change in network scalability, and this week one of the developers working on the Casper PoS protocol published a slidedeck summarising the three years of research that went into it. 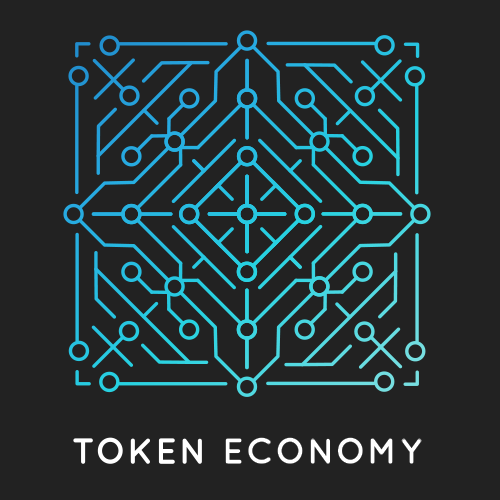 0x is developing a protocol which will act as a critical piece of infrastructure for the token economy, allowing Ethereum smart contracts to programmatically and seamlessly exchange Ethereum-based assets. They have received early funding from Polychain Capital, Pantera, Blockchain Capital and more. - Targeting $24M for 50% of the total supply of ZRX. - Mandatory registration period August 9th - 12th. - Launch begins on August 15. - No pre-sale or reservation agreements. - Main net live before launch. - Token sale powered by 0x itself. Tezos was probably the most anticipated ICOs of all. We were speculating a total fundraise on the order of $300-500M, but the ETH price drop and a general bearish sentiment on ICOs thanks to Bancor has probably reduced many potential participants' interest in the crowdsale. It still goes on for 11 days, so it might still reach that point. From what I understand, Tezos removed a 8.5% cash contribution to a US corporation, instead granting such company around $1M in "payback" for services rendered during the past years. I think that's a great move on their part. Another interesting fact here is that Tezos "base" accepted currency is BTC, and not ETH. All ETH used to purchase Tezos tokens is instantly exchanged for BTC, which means 1) the number of XZT an ETH buyer receives is dependent on the market rate of ETHBTC 2) there is a significant pressure on ETH's price. Blockchain startup Block.one announced this morning that it has raised $185 million in just five days of selling its EOS cryptocurrency token. Haven't heard a single good thing about EOS yet, which is the reason I still haven't dug in to study it. But I will leave you with a couple of images. BTW, my new favorite genre of images is ICO TOS Screenshots. I'm that weird. (Let's not forget this one goes on for a full year). On Block #3903900 on Tuesday of last week, the Status Contribution Period began. What followed was a flurry of almost 100,000 transactions, dwarfing all other token launches to date. On that topic, Corey from the Bitcoin Podcast dissects the data to show how, despite the network congestions, it somewhat achieved democratized access. The TechCrunch founder is advising Propy, which is a pre-product, pre-beta, pre-everything projects which aims to raise $35M in cash, and hold on to $65M worth of tokens, including a fun 15% marked for "Donation". The whitepaper is 5 pages long. The Augur Master Plan was only laid out a couple of weeks ago, and yet its founder Joey Krug just announced he is joining a crypto hedge fund as a partner. On the one hand it's never a great sign when a founder moves on from a full-time role (he'll still spend >40hrs/wk on Augur), let alone if that's BEFORE the product has even shipped. On the other hand, having a large pool of capital ($100m target) managed by someone with inside knowledge of the platform with the aim of creating liquidity in it is most likely a net positive to the Augur ecosystem. 🍿-time: the incendiary Twitter exchange between Joey and Gnosis. Josh Stark illustrates, with elegant simplicity, the macro bull case for the blockchain: expanding the space of possible economic relationships. Thought provoking. The district0x Network is a collective of decentralized marketplaces and communities powered by Ethereum, Aragon and IPFS. CoinFund's Jake Brukham explains how platforms like Kik will help cryptocurrencies get mainstream adoption more than education and evangelization. On the same topic, AngelList's Parker Thompson (vocal detractor of anything blockchain) weights in with some good ideas on ho to improve the Kin token structure. Matthew Di Ferrante, lead blockchain developer at Clearmatics, shares some good thoughts on ICO design improvements. Very little details yet, but no doubt a welcome improvement to a rapidly maturing ecosystem. Mastodon is a free, open-source social network. A decentralized alternative to commercial platforms, it avoids the risks of a single company monopolizing your communication. Anyone can run their own Mastodon instance and participate in the social network seamlessly. To be fair, I did try Mastodon a few months back and found extremely confusing the process of choosing a server and interacting with the others. That being said, it's certainly fascinating and most likely the future. Rewarding Truth - Using the power of crowdfunding to incentivize the discovery of truths. DNN, or Decentralized News Network, is a political news platform, combining news creation with decentralized networks to deliver factual content, curated by the community. Verge - Secure and anonymous cryptocurrency, built with a focus on privacy. Daimler AG and a group of savings banks for the first time have jointly used blockchain technology, from loan origination to interest payments, to execute a financial transaction worth €100 million. A pilot for now, but this ain't pocket change. GS drops a few dozen $ks on an annoyingly engaging interactive report on the potential for the blockchain. Fancy primer. Crypto volatility is itself quite...volatile. Over the years though BTC volatility against the USD has compressed significantly, now ranging between 1-4% daily (for reference gold is 1.2% and most major currencies 0.5-1%). ETH volatility on the other hand is still probably similar to the BTC volatility of 2011-2012 (if we try hard enough we can start to see a descending trendline forming up). Volatility has different implications for BTC and for ETH. For BTC it's directly linked to its perception as a long term store of value, so what happens in the short term matter to an extent. It matters probably to a greater degree to ETH though, as ETH is the currency that is used by projects to raise capital via ICOs. A volatile ETH makes it much harder for teams to plan and execute capital deployment, and just generally to manage finances (e.g. ETH is growing like crazy / falling off a cliff, should we wait to hire aggressively / hire aggressively now?). Status shared their post-ICO plans of converting to fiat on reddit, will others follow suit in being so transparent? Also, with several +$100m ICOs completed in the last few weeks and none of similar profile in the short term, will we see more price pressure on ETH? Gnosis ($GNO) had a pretty good week (+40%) relative to the rest of the market. The public comments made on Twitter about founder tokens been lock up for 6 years (5 years for employees) seem to have been well received. Numeraire ($NMR) on the other hand had a pretty rough time holding up to the prices it first traded at when it came online last week. A lot of selling action in the first few days took the price down from a high of $165 to all the way down to a low $30. Jordan Cooper churned another great post this week where he talks about it: Inherently More Valuable Than Startup Equity? How do you keep track of your crypto investments? This week Blockfolio got under the radar after some users spread rumours it could be snooping on users' holdings. The company released an official statement later denying that accusation. For those that can't breath without a spreadsheet, we got our hands on a neat Google Sheet add-on that automatically imports live prices, volumes etc from Coinmarketcap API for hundreds of cryptos. Kudos to Julien Buty who developed it and released it in March. HANDY! With $35m already bagged from individuals and institutions (including other VCs), crypto hedge fund Pantera Capital is looking to raise up to $100m by the summer end to invest in pre-sale ICOs. This focus makes a lot of sense and the hope is that once the time of the public ICO comes, there will be a more developed product rather than just a whitepaper. Fortune must have really been short of ideas when they decided to publish this. A Homebrew partner on a panel mentioned that the partnership discussed about raising their next fund via an ICO. The same thing probably happened at 99.9% of all other VCs on planet earth. Scoop? We've just ordered Andrew Mcafee and Erik Brynjolfsson's new book after hearing all about it on a recent A16Z podcast. It touches on many topics relevant to the blockchain such the power of network effects and the concept of the firm.